How do Pilots and Flight Attendants Travel to Canada with a DUI? Any foreign national with a DUI/DWI arrest or conviction on their criminal record may be inadmissible to Canada without special permission from the Government. This holds true for airline staff as well, meaning that any pilot or flight attendant with a DUI must first overcome their criminal inadmissibility before they can work a route to Canada. There are two ways to get official permission to enter Canada with a DUI; a Temporary Resident Permit can allow an individual to visit Canada for a limited amount of time, and Criminal Rehabilitation enables a person to overcome their criminal inadmissibility permanently. A Canada Temporary Resident Permit or TRP can be valid for multiple entries for up to three years, but is only a temporary solution. Canadian Rehabilitation is ideal since it never expires, but it takes much longer to obtain than a TRP and requires a person to have completed all sentencing (including probation) at least five years prior. It is common for people to apply for both a TRP and Rehabilitation at the same time, in order to gain access to Canada as quickly as possible but also fix the issue once and for all. Many airlines that regularly fly to Canada will not hire any flight staff that are not permitted entry into Canada since it can make scheduling more difficult, so getting a Canada TRP or Criminal Rehabilitation might even be a prerequisite for getting hired if you have an arrest or conviction in your past. It does not matter if you will not be staying in Canada overnight, you are not even allowed to land in Canada if you have a DUI that makes you criminally inadmissible. In addition to impaired driving, other types of criminal offenses such as petty theft or drug possession can also eliminate access to Canada. Alcohol-related traffic violations, such as DWAI in the state of New York, can also prevent someone from traveling to Canada even though they are civil infractions not criminal convictions. Questions about gaining access to Canada for work purposes with a DUI? 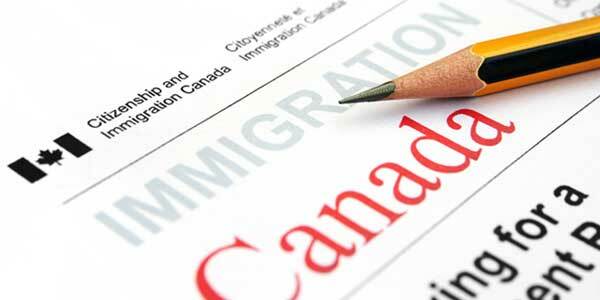 Contact our Canadian immigration law firm today for a FREE consultation! If you are arrested for drunk driving while employed as a flight attendant or pilot, it is extremely important to notify your company's Human Resources department immediately. Under 14 CFR 61.15, pilots must also send a notification letter to the Security and Investigations Division of the FAA within 60 days of any alcohol-related administrative action, such as an impaired driving arrest or driver's license suspension. FAA medical certificate form 8500-8 "Application for Airman Medical" contains a provision that provides the regulatory authority with express consent to cross-reference their records with the National Driver Register (NDR), allowing them to independently confirm the accuracy of information reported by pilots. When more than one Motor Vehicle Action (MVA) is properly reported by a pilot, all Part 61 certificates are suspended for 120 days. If all MVAs were not properly reported, the duration of sanctions can increase. After a DUI or DWI, a pilot will typically be required by their employer to take a substance abuse assessment before returning to work. Flight attendants, on the other hand, will generally be permitted to continue working as normal but will no longer be scheduled for any flights to Canada. This is why it is crucial for any flight attendant that occasionally works Canadian routes to tell their employer as soon as they are arrested for DUI. You may be inadmissible to Canada as soon as the arrest occurs (no need for a conviction), and if you keep it a secret and are denied entry to Canada while on the clock you will often end up in the unemployment line. For this reason, it is extremely important to ensure you will not have to travel to Canada until you can contact a Canadian immigration attorney and fix your situation. We have worked with many airline HR departments to help make a staff member admissible to Canada again, and their general policy is usually not to fire a flight attendant provided he or she can overcome their criminal inadmissibility to Canada in a reasonable amount of time. Once a flight attendant discloses a DUI to their employer, he or she will typically only be assigned domestic routes until they are issued a Temporary Resident Permit and can travel internationally again. CANPASS Private Aircraft and CANPASS Corporate Aircraft are special programs that can speed up border crossings for low-risk travelers from USA that need to fly into Canada on a frequent basis. Flight crew are often required to become members of the CANPASS expedited entry program in order to get hired by an airline, but even the eligibility of CANPASS excludes US residents who are not permitted entry into Canada because of an impaired driving conviction. The general "CANPASS Air" program for all aircrew no longer exists and is now broken into corporate and private. If you have an expunged DUI, were arrested for DUI but found not guilty, or participated in a drunk driving diversion or conditional discharge program, it is advisable to have a Canadian immigration lawyer write a legal letter of opinion explaining to border agents exactly why you are admissible to the country despite the initial arrest appearing on your record. If you are currently participating in a conditional discharge or diversion program, you are likely considered inadmissible to Canada and may need a TRP to cover you until you complete the process in its entirety. Canada does not consider all United States expungements to be non-convictions, so just because you had your conviction expunged does not mean you are guaranteed access to Canada. Individuals who plead a DWI down to a lesser charge such as reckless driving can also be denied entry at the Canadian border without a Temporary Resident Permit or Rehab. It is a visitor's duty to be able to justify his or her admission into the country when challenged, and if immigration officials at the border notice an arrest in a traveler's past they will likely ask about it. With your job on the line, it is always best to be extra prudent when it comes to Canada DUI entry. As of December 2018, Canadian law classifies impaired driving as a serious crime. Consequently, any US-based flight crew with a DUI, DWI, OWI, OVI, DWAI, wet reckless driving, dangerous driving, or other intoxicated driving offense could be at risk of a border denial even if the incident happened a long time ago. Since such offenses are now considered serious criminality, automatic Deemed Rehabilitation after ten years is no longer possible and anyone with an old DUI who wishes to become a flight attendant will likely need to file paperwork with Immigration Canada. Private jet companies such as NetJets allow clients to charter a plane from any city in the United States to any destination in North America in as little as four to six hours. If a client charters a plane to Canada, the private jet's entire aircrew must be admissible to Canada otherwise there is a major problem. For this reason, American private aircraft charter companies such as NetJets generally require all their pilots and flight attendants to be admissible to Canada. We often get asked "can you be a flight attendant with a DUI?" Before most US airlines will hire a flight attendant with a criminal record for DUI or DWI, the candidate must be able to prove that they have unfettered access to Canada. In order to do so, a candidate may first have to apply for special permission to cross the border with a DUI via a Canada Temporary Resident Permit (TRP) or Criminal Rehabilitation (CR), both of which can allow him or her to overcome their criminal inadmissibility and enter Canada. It can be common for a prospective flight attendant to apply for a Temporary Resident Permit even though they do not yet officially have a job that requires them to cross the border. In general, obtaining a TRP is more difficult without a job offer, and proof that the applicant is actively applying for flight attendant jobs or is likely to receive a job offer soon should be included in the application. In situations where a person is in a rush to be granted permission to travel to Canada with a DUI, it may be possible to employ a strategy called "flagpoling". Using this procedure, an individual may be able to get approved for DUI Canada entry extremely fast via a Point of Entry Temporary Resident Permit application. This technique is particularly popular amongst candidates who need to start their initial flight attendant training school soon, but first need to fix their Canadian criminal inadmissibility issue. It can also be used by flight staff that regularly work flights to Canada and need to overcome their ineligibility quickly because of a recent intoxicated driving incident. This strategy can be extremely tricky, however, is it likely never a good idea for people with several offenses or felony convictions. If you are a flight attendant or pilot who needs to fly to Canada for work, but you have a DWI or DUI, phone our team today for a free consultation. In order to get approved for a Temporary Resident Permit or Rehabilitation, applicants must convince Canadian immigration authorities that they learned their lesson and deserve to be considered fully rehabilitated. Due to the additional scrutiny airline pilots face when they are charged with driving under the influence, they often have significantly more evidence of rehabilitation than the average applicant. Many commercial pilots participate in the HIMS program after any driving offense that involved alcohol. The occupational substance abuse treatment program is an industry-wide effort to preserve aviation careers and increase air safety. Even with the support and oversight of supervisors, an expedited return to the cockpit can take several months as the program is very extensive. While the program itself may be difficult, in the end having proof of the successful completion of HIMS can greatly strengthen a TRP application.